After leaving Coltrane, McCoy Tyner struggled for a period, working as a sideman (with Ike and Tina Turner, amazingly) and leading his own small groups; his recordings were consistently stimulating even during the lean years. After he signed with Milestone in 1972, Tyner began to finally be recognized as one of the greats, and he has never been short of work since. Although there have been occasional departures (such as a 1978 all-star quartet tour with Sonny Rollins and duo recordings with Stephane Grappelli), Tyner has mostly played with his own groups since the '70s, which have ranged from a quartet with Azar Lawrence and a big band to his trio. Tyner went on to tour and record with his own quartets and quintets, recording more than twenty-five albums and receiving two Grammy Award nominations. 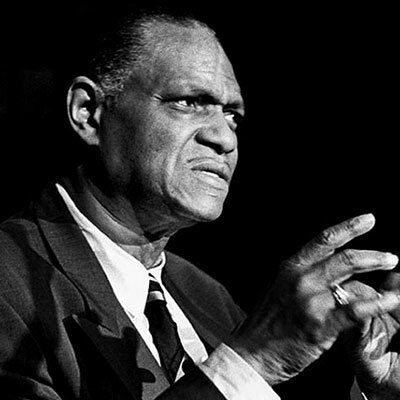 In 1984, he formed the McCoy Tyner Big Band for which he composes, arranges and performs. In 1988 he won a GRAMMY for his work on Blues for Coltrane, a tribute album to John Coltrane. He also won in 1992 and 1994 with McCoy Tyner Big Band, and again in 1995 for the large jazz ensemble category for the album, Journey. That year he also won with the McCoy Tyner Trio for the album Infinity.